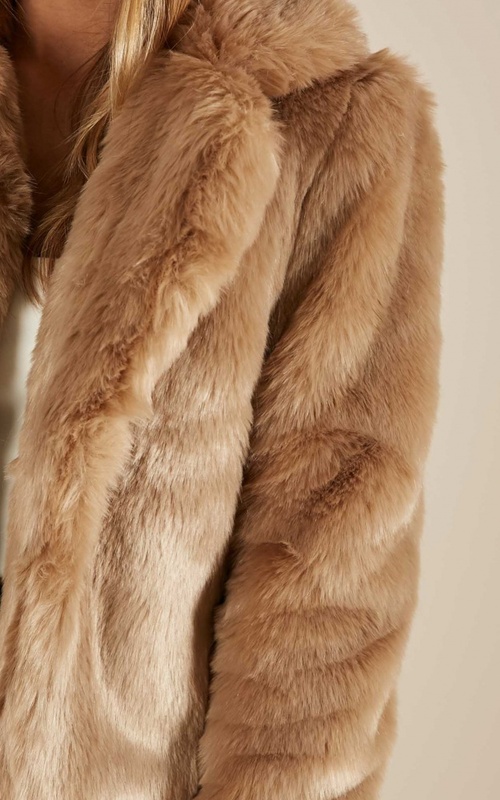 We are loving the Faux fur coats this season, this is the ultimate luxury in warmth. We love to style this with some figure hugging jeans or maybe even a bodycon dress, its really up to you but you will be guaranteed to be warm. I love this coat :) It's actually very warm! Very soft, and looks great with anything! I got a size 8 - I'm very slim and tall - so the arms are only just long enough for me (maybe in the future, sleeve measurements would be handy) - But it still looks fantastic! I'm very happy. This jacket is amazing!! I absolutely love it, it's soft, true to size and keeps you warm in these cold winter months. Its looks perfect if you wearing something casual and want to dress it up.